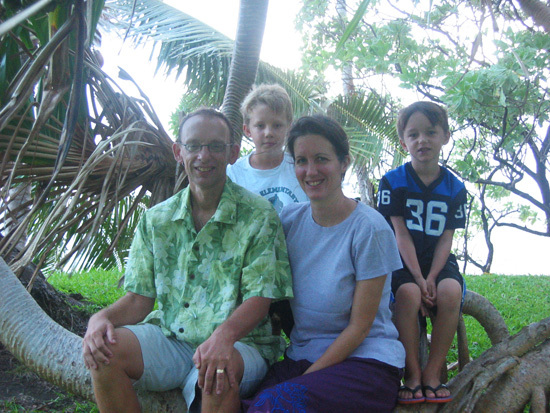 David and Jill Kalinski and their sons Samuel and Peter served on an outer island in the Apostolic Prefecture of the Marshall Islands. With the exception of annual visits by Msgr. James Gould and the Maryknoll Sisters, the Kalinski’s were the only Catholic missionary presence on the atoll. 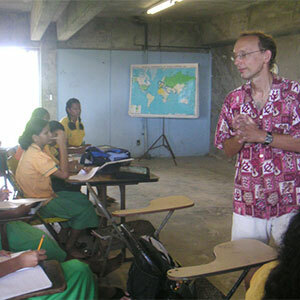 David taught English and History at the local secondary school. 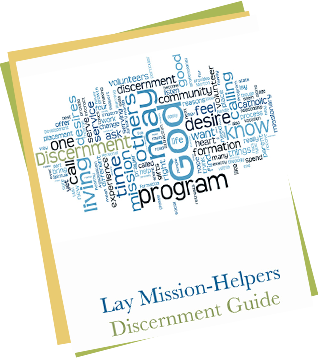 Jill’s primary roll was as a pastoral associate at the parish–assisting and building up the church leadership. Their sons attended the local Catholic primary school and Jill substitute taught at the school when needed. 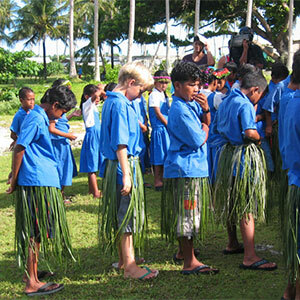 "We lived on Jaluit Atoll, a remote outpost in the Marshall Islands, where I taught high school and Jill and I worked with the youth of the local parish. What a privilege it was to watch the young people with whom we worked develop not only in the classroom but also in their spiritual walk. 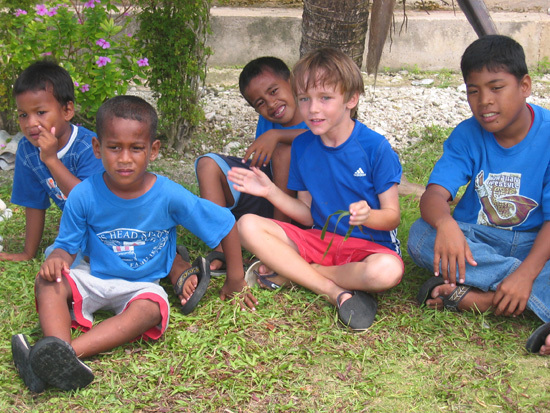 By the end of our time in the Marshalls, we were organizing Bible studies and prayer services, and always feeling the presence of the Holy Spirit on a tiny island in the middle of the Pacific."